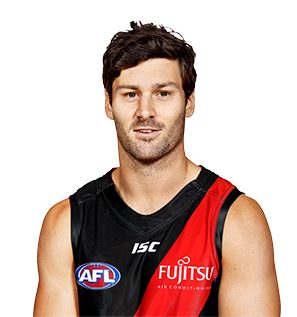 Essendon midfielder Ben Howlett is expected to be fit to take on Sydney at the SCG next Friday night despite suffering tightness in his achillies. 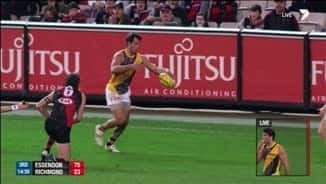 Ben Howlett’s remarkable snap from boundary against Adelaide has been nominated for the Round 14 Hungry Jack’s Goal of the Year. Ben Howlett is uncertain whether his goal of the year contender hit or missed the post. After he was overlooked in several drafts, the Bombers selected Ben Howlett with the 30th pick in the 2010 Rookie Draft. From Peel Thunder, Howlett is a hard working, tough tackling midfielder who has also demonstrated an ability to kick goals. Howlett has been a regular since he arrived at the Club. He played 15 games in his first season and at least 19 games in each of the following five seasons. Howlett booted four goals and had 25 possessions in the Bombers win over Adelaide in round one, 2013. The following season he kicked five goals and had 25 disposals against Richmond.